Display our brand with pride! 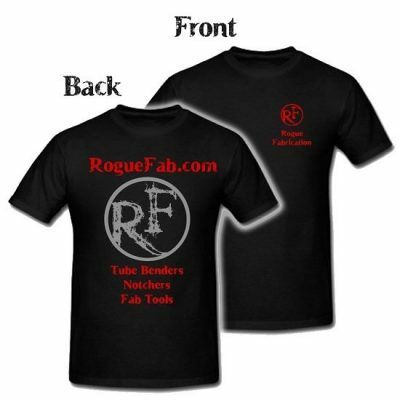 Printed in the USA on Gildan heavy duty preshrunk cotton. 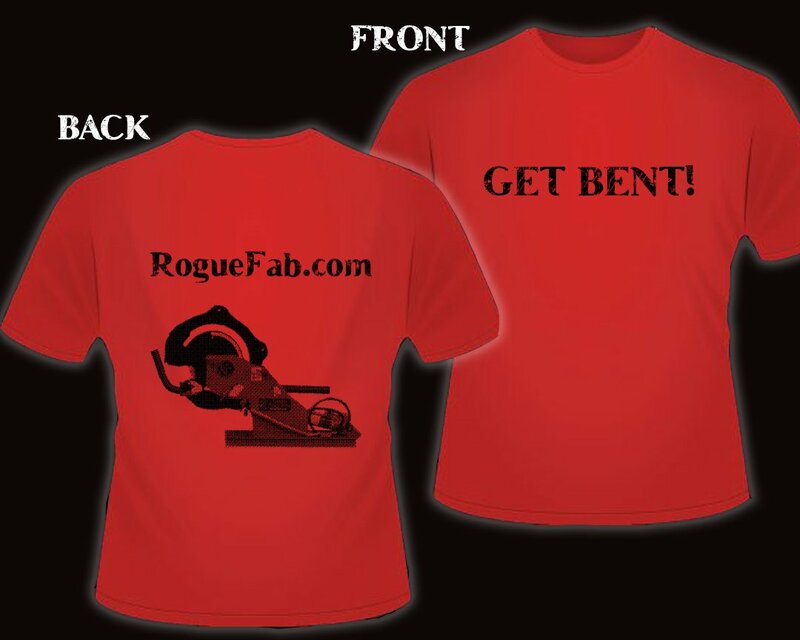 Front: GET BENT! 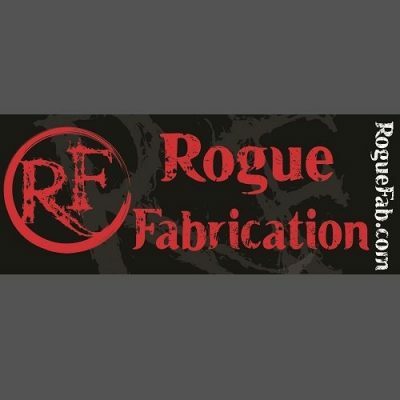 Back: Roguefab.com. Adult sizes only for now. No pockets. These shirts are being printed RIGHT NOW. 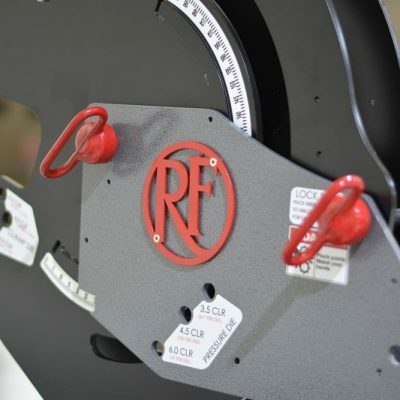 If you order one, may hold your order until we get them from the local print shop so we may ship your order complete.